OptimusShepard added a comment to D1758: Smooth new Kushite background. Before the patch the balkon position was wrong. Now after the patch the balkon is on the right position but stretched. OptimusShepard accepted rP21378: Allow units to be positioned with freehand placement. OptimusShepard created D1656: Bugfix rP21378. OptimusShepard added a comment to D1652: Freehand formation position . OptimusShepard planned changes to D1652: Freehand formation position . hotkey "alt" for change to freehand formation is not implemented yet. It's currently activated every time. OptimusShepard created D1652: Freehand formation position . OptimusShepard added inline comments to rP21378: Allow units to be positioned with freehand placement. OptimusShepard raised a concern with rP21378: Allow units to be positioned with freehand placement. OptimusShepard added a comment to D1624: Smoothing Wild Lake. Good Point. I have quickly tested it for every map size. Seems to be that docks could be built on the whole shoreline. I know what your mean, but I think this isn't necessary. "5" looks like a good compromise on all maps I think. Interestingly, this problem doesn't occur on gigantic map size. Maybe someone will later rework the complete map, there are a little bit too much animals, and there are also some unreachable trees. Until then this patch should work fine I think. OptimusShepard created D1624: Smoothing Wild Lake. Don't you gather hardware informations? I didn't read something like that. That's the UserReporter seen in the main menu. That is not sent to the Multiplayer Lobby service and it's not related to the lobby either. and the sent data does as far as I know not contain the lobby username nor an IP address but a unique userreporter ID saved in the users config file. So you raise an important point, users should find out how the personal data of other service affects their rights. The lobby terms should probably link to a document with references to the terms of the different places. OptimusShepard added a comment to D1490: Unit Pushing. Does this patch works only for your own units, or also for the enemy units? Because I think you want to be able to block them, e.g. when you try to defend something. OptimusShepard added a comment to D1452: Nerf BoltShooter massing. I think most useful would be if the units attack the siege units by default instead of try to capturing them. Maybe the min range should be smaler than the max range of skirmisher. Otherwise they could attack them as long as they want without getting damaged. And skirmisher will need much time.. The units also should maybe prefer to attack than to capture the siege units. I don't think that they are such more op dann other units in a mass. If you have many catapults, rams, siege towers or horsemen archer they are also hard to stop. Catapults, rams and 2-3 sword horsemen bring them easy down. You only should give attention how do you attack them. There is freehand position a good possibilty (attack in a big line) that every bolt can only hit one horsemen. OptimusShepard awarded D1437: Disable shadows if we can't create a shadow map a Like token. OptimusShepard added a comment to D1437: Disable shadows if we can't create a shadow map. I think this patch have to be in alpha 23. It doesn't solve the problem of #4883, but it saves from his consequences. OptimusShepard added a comment to D1450: Improved Shadow Filter. Thx, patch is working. Maybe the first error had caused the other. Doesn't work on Win 10. ERROR: Failed to link program 'shaders/glsl/terrain_common.vs'+'shaders/glsl/terrain_common.fs': Fragment info ------------- 0(93) : error C7623: implicit narrowing of type from "vec4" to "float"
ERROR: Failed to link program 'shaders/glsl/model_common.vs'+'shaders/glsl/model_common.fs': Fragment info ------------- 0(94) : error C7623: implicit narrowing of type from "vec4" to "float"
Is it correct that by chosing high settings without saving the error occurs? Shouldn't the settings be changed after saving? But I think this is another bug. Patch is working, thx. Maybe you want to display some information to the user that you have change her/his settings? OptimusShepard added inline comments to D1368: freehand position tip on loading screen. OptimusShepard added a comment to D1368: freehand position tip on loading screen. So we change it if we have a usecase? About the imge format itself, do what the other files do, i.e. 512*512 with the actual contents 512*384. Not sure if the rest has to be transparent or if black works too. Can someone else please add the transparency, black didn't work? I like the 0AD unit formation, really shows what it can do. But perhaps it should take place on a more beautiful map than anatolian plateau. The mouse has an mspaint feeling to it like Stan said, perhaps we can omit it altogether and just describe it in the tooltip. I think right mouse is more intuitiv and practicaly than a hotkey? OptimusShepard updated the diff for D1368: freehand position tip on loading screen. Do you prefer some other colors, or completely with out? Does someone know how to adjust the picture correctly? OptimusShepard created D1368: freehand position tip on loading screen. Angen awarded D1352: Audio/Visual feedback for freehand position a Like token. OptimusShepard updated the diff for D1352: Audio/Visual feedback for freehand position. OptimusShepard added inline comments to D1034: Wheel-adjustable batch size. OptimusShepard added a comment to D1352: Audio/Visual feedback for freehand position. But presumably not worth the complexity. OptimusShepard added inline comments to D1352: Audio/Visual feedback for freehand position. OptimusShepard updated subscribers of D1352: Audio/Visual feedback for freehand position. @elexis do you think this is enough? Or should I do some visualisation via rallypoints while drawing the line? 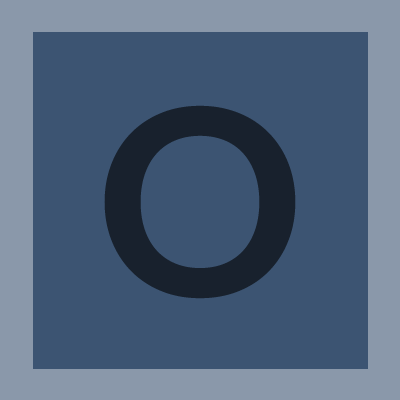 OptimusShepard created D1352: Audio/Visual feedback for freehand position. OptimusShepard added a comment to rP21378: Allow units to be positioned with freehand placement. @OptimusShepard, @Imarok that we have the feature is good, but I suspect noone will know about it. Adding a new button in the unit action panels could be sufficient to inform players. But there is not enough space, is that correct? OptimusShepard added a comment to D1021: Position units on a free drawn line. OptimusShepard added inline comments to D1021: Position units on a free drawn line. OptimusShepard updated the diff for D1021: Position units on a free drawn line. OptimusShepard added a comment to D1295: Clean up the updateBandbox function. OptimusShepard updated the diff for D1295: Clean up the updateBandbox function. OptimusShepard created D1295: Clean up the updateBandbox function. Lionkanzen awarded D1021: Position units on a free drawn line a Yellow Medal token. elexis awarded D1288: Change drag operations a Like token. OptimusShepard updated the diff for D1288: Change drag operations. OptimusShepard created D1288: Change drag operations. what do you think about the new algorithm? OptimusShepard updated the diff for D1253: Better ultrawidescreen support in game. OptimusShepard added a comment to D1253: Better ultrawidescreen support in game. What do you think about the two following design? Whitch of those three design you prefer? Or do we need some complete other gui? I only let the menu on his position. What do you think about it? Or maybe I can only move the left side? Not too nice to hardcode so many numbers, ideally we have one GUI theme that fits all. Got screens? OptimusShepard created D1253: Better ultrawidescreen support in game. OptimusShepard added a comment to D1238: Bugfix Top Panel. I thought the positions are already computed - they ought to be. OptimusShepard created D1238: Bugfix Top Panel. OptimusShepard added a comment to D1034: Wheel-adjustable batch size. Patch is now working on windows. Maybe you want to store the last selected value? The patch doesn't work on windows 10.